Are you looking to update your fleet and unsure what will be the most cost effective vehicles? You aren’t alone, 2011 was a very strong year for fleet registrations with many signing up to three year deals meaning that many are looking for a new deal now too! During January alone there has been an 18.1% increase in registrations year on year. Mike Hawes, SMMT Chief Executive “These figures mark an encouraging start of the year after a very strong 2014, with a strikingly robust company car market as businesses take advantage of the attractive finance offers currently available. As a result there are a lot of options for fleet managers in the market so we have created an article to help simplify the decision. Below we have listed the best options in terms of price based on a few different factors. First you want to consider the initial cost of the vehicle against the savings that you will make during the course of owning the vehicles. Currently as the pound is strong it means that manufacturers are able to offer very attractive packages in terms of finance for fleet managers in the UK. The bestselling vehicles for fleet use during January this year were Vauxhall Corsas, Ford Focus’ and Fiestas, Volkswagen Golfs and Nissan Qashqais. Already we can start to see a pattern. The most popular fleet vehicle sold in January is also the cheapest vehicle in the list. 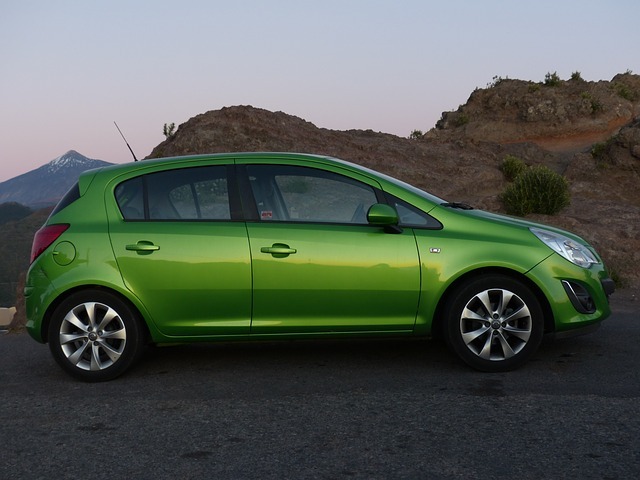 Whereas the vehicle that is last in our list is also the most expensive but this doesn’t mean that you should opt for the Vauxhall Corsa just yet. The prices listed above are price per vehicle, therefore if you are purchasing a fleet you are likely to get a discount although, do take into account the interest rate if you opt for a finance package. As mentioned there are many models of these vehicles but the majority of the new vehicles are C02 efficient which means that they are tax free. So far the Vauxhall Corsa is the cheapest vehicle, the most popular during January and, if you purchase an eco-friendly version, doesn’t require road tax. There are other factors that come into play when making a decision about which vehicles to purchase for your fleet such as depreciation rate, the type of image your business has, the cost of motor fleet insurance and any ethical standpoints your business takes e.g. being environmentally friendly. If you are just setting up your business and about to invest in a fleet of vehicles, it is important that you have everything you own, tangible and in-tangible, insured. It is prudent to always cater for the worst case scenario so you are covered for all eventualities. With this in mind you should consider business insurance, commercial vehicle insurance and fleet insurance. It is important to understand what you do need cover for and what you don’t so you don’t end up under or over paying; both of which could end up costing you more money in the long run. If you are unsure it is always best to speak to a specialist. From the statistics it appears that if you are looking for an affordable fleet then the Vauxhall Corsa is not only the cheapest but the most popular vehicle of the year so far and, if you purchase a greener model then there is also no road tax to pay either!